415 Group takes pride in our continued involvement in the local community. 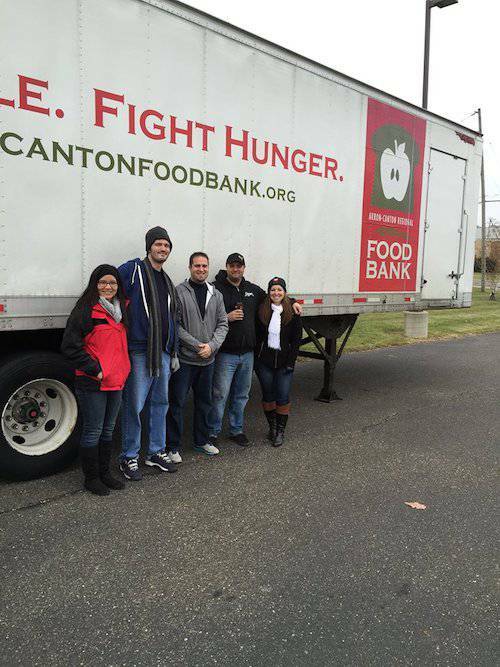 As a firm, our most focused cause is providing assistance to the Akron-Canton Regional Food Bank through our annual involvement with the Long Haul Against Hunger campaign. Since 2010 alone, we have provided a financial match for every dollar raised in Stark County during this campaign which has resulted in providing over one million meals to those in need in our community. Our associates are also highly encouraged to serve their local communities and are given the flexibility in their schedules to seek opportunities through affiliations with various nonprofit organizations, charities, chambers of commerce, fundraisers and events throughout Northeast Ohio. Our Firm also provides all employees with a Random Act of Kindness (R.A.K.) day. The employee can use this day to serve a charity or organization of their choice that is fully paid by the Firm. At 415 Group, we’re committed to ensuring that charitable organizations in our community receive the help and funds they need. We’ve established a permanent fund through the Stark Community Foundation to support local nonprofits and help make a lasting impact on our community.